Officially Licensed. 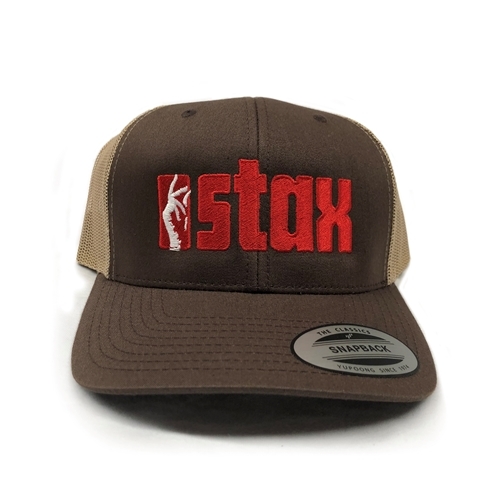 This authentic Stax Records Snapping Fingers adjustable 6 panel trucker hat comes exclusively from Bluescentric Brand. The 6-panel adjustable trucker hat is quality, e-conscious 70% certified organic cotton, stitched with the original Stax-O-Wax logo.